Pros: Most guests pick this resort because it is one of the more affordable deluxe resorts and it is also located in close proximity to the Magic Kingdom, which can be reached by boat. This resort has been recently renovated so the room décor is new and modern. Some of the rooms also have a bunk bed option for kids that they will enjoy. 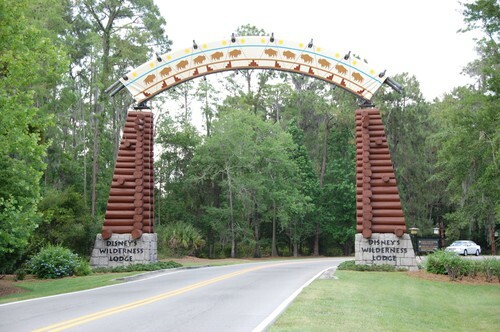 If your family likes the great outdoors or being in the woods, this is a great resort for you. The wood décor is cozy and homey. Cons: The Wilderness lodge décor feels like a giant lodge or log cabin. As a result it can feel dark inside the resort. The open floor plan in the main part of the building can result in added noise for rooms located near that area. The rooms themselves are smaller in size than most deluxe resorts. The smaller size also means this resort cannot accommodate larger families in a standard size room. The rooms sleep 4 adults or kids. A 5th person can only be added if it is a baby in a pack n play. Due to its location, it does mean a longer ride to the Animal Kingdom park.